The Drill Hall Emporium: new in store...abacus, flour tin, mortar and pestle, vintage luggage and more! 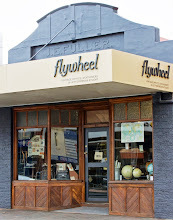 new in store...abacus, flour tin, mortar and pestle, vintage luggage and more! 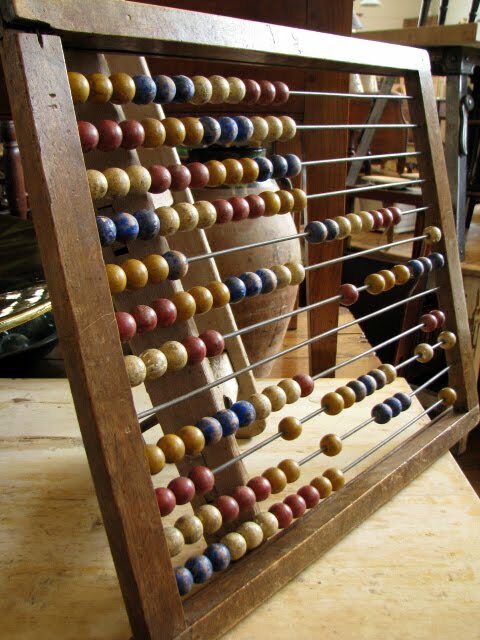 We found this vintage abacus locally during the week. 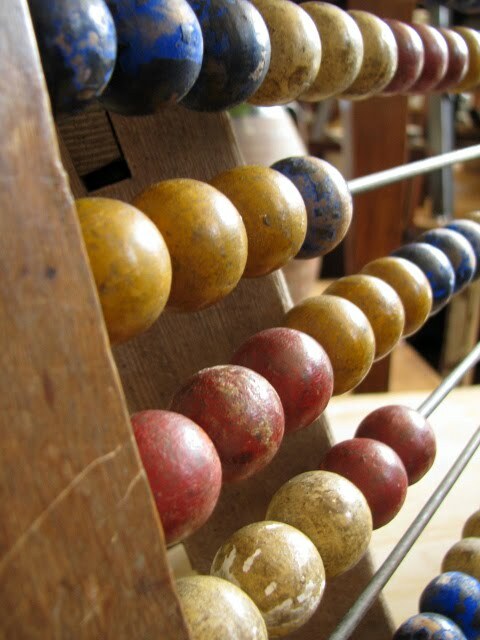 I have a little thing for abaci (I must confess to looking up the plural of abacus. 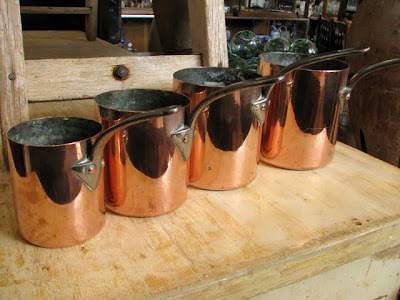 I have never thought about it before, perhaps because we have not had more than one in our shop at one time?). The beads are colourful and old. One of the rungs has no beads, we are not sure if this is original or if they are missing. Perhaps one of my readers may be able to help me out? 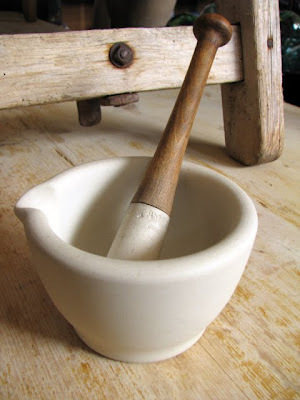 This little size 0 Wedgwood mortar and pestle also came into the store during the week. It is such a little cutie! 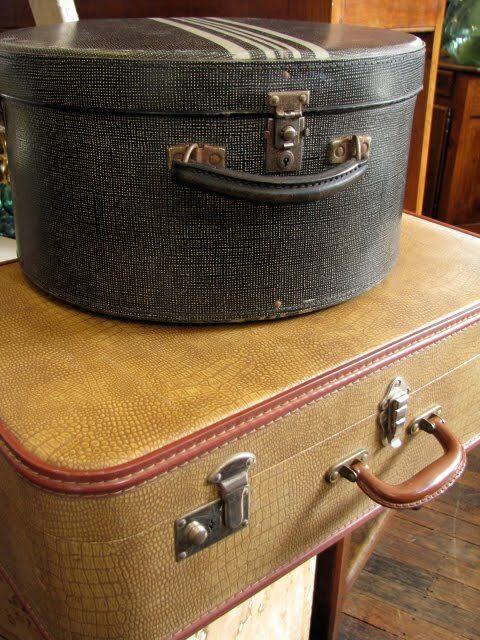 A vintage hat box and faux crocodile suitcase. Both are in fantastic condition and have heaps of charm. 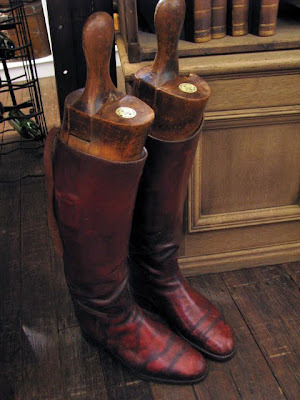 Chunky red leather riding boots with timber boot trees and a maker's label. 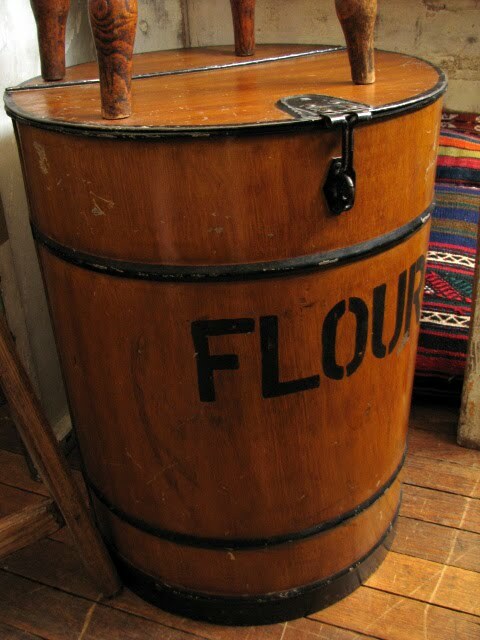 A Victorian period flour storage tin. And a rare 19th century cow butter stamp. 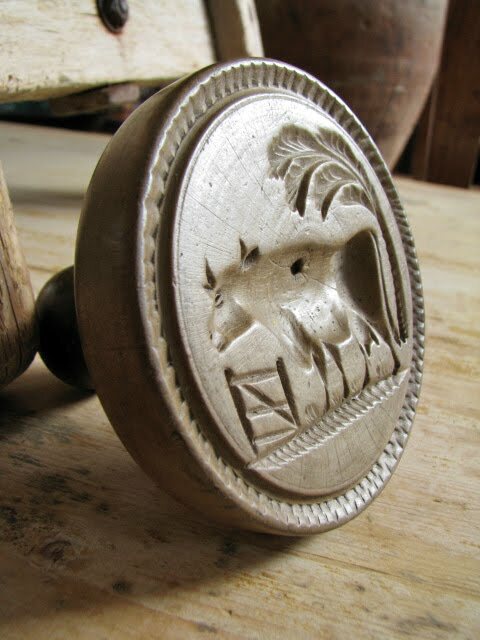 Butter was once hand stamped with these for decoration. And a cow motif just makes sense, I guess. Floral motifs are more common, but we also have a swan press at the moment. These little copper pots actually came with our last shipment but they have only just been polished and put out in the store. They are an unusual tall shape and are overall quite small. But my favourite piece? 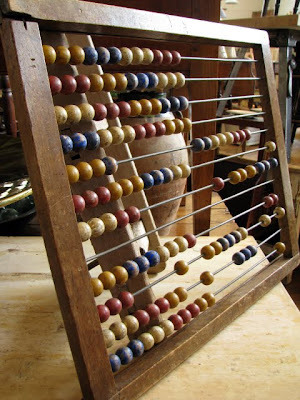 The abacus. Now I am off to do some counting...if only I knew how to use one. I wish everyone a wonderful weekend. 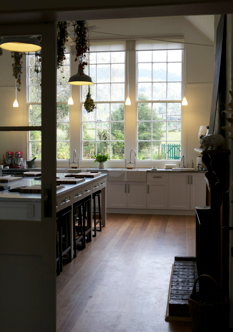 I am at the shop today, it is wet and gloomy here in Tasmania so I cannot imagine a better place to be! Hello Tammy, Am a new follower... 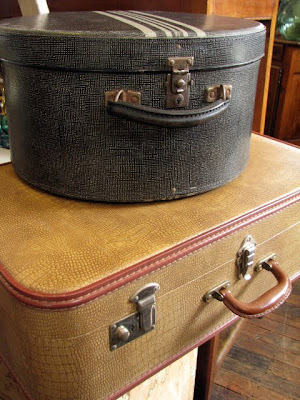 Visited your lovely Antique store on Jan 21st (the first day you opened I believe after your shipment?)... and had to blog about it too, of course - I was in absolute heaven. It's fantastic. Love that little butter stamp - so gorgeous. Hi Tammy how lovely to meet you. I did visit after Sarah posted about her Tassie trip! My favourite state and I adore New Norfolk. The abacus empty rung could be the divider in which case the four rungs below would in fact be on top! But then if they are just missing which would give it 144 beads It has more beads than the Chinese so perhaps it's an old school one from before decimal. Whichever, it is just lovely. I have a newspaper one sitting on my desk and use it often!!!! !